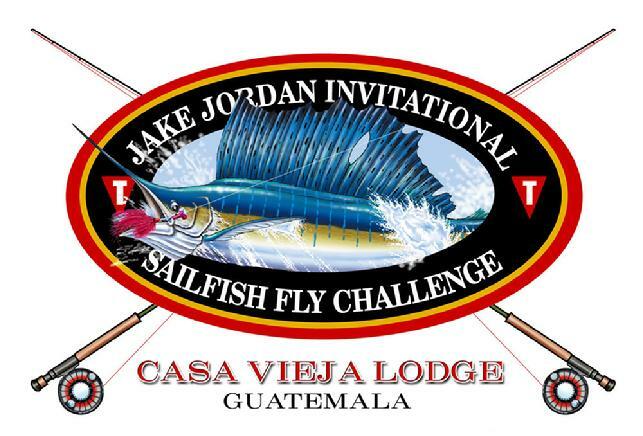 Please mark your calendar to attend the tenth annual "Jake Jordan, Invitational, Sailfish Fly Challenge" to be held at the world class "Casa Vieja Lodge" in Puerto San Jose, Guatemala. Fishing will be on January, 7, 8, 9, 2019, with January 6 available for those who want to have a practice day. IGFA rules will apply with 20 pound class tippet supplied by the tournament Committee. We now have 6 teams pre-regestered to fish in the tournament with several more vessels still available to choose from. This invitational tournament is limited so only 10 teams will participate in this world class event. THE COST TO ENTER THE TOURNAMENT IS: $10,200.00. per team! The extra practice day cost is $3,000 per Team. Private rooms add $275 per night per team. Private or Charter vessels fishing in the tournament and not staying at Casa Vieja Lodge have a team entry cost of $2,000 per team. 3. SCORING: 100 points for each sailfish released. 50 extra points will be awarded for each sailfish released by removing the fly and hooks from the fish without breaking the tippet! 5. FISHING HOURS: Leave the dock not before 6:45 AM with lines in the water at 8:00 AM, Fishing ends at 3:00 PM and boats must return to the breakwater before 5:30 PM. Boats not arriving at the breakwater by 5:30 will score 0 for that days fishing! 6. REPORTING: Releases must be radioed in to tournament headquarters (Committee Boat) immediately upon release. Fish not recorded on committee boat log do not count! 8. TEASING: Teasing may be done by the anglers, the 2 mates and the captain. Boats must be out of gear during the final cast, before hookup, and during fly retrieving. Fly casting may only be done by the anglers. A hooked fish may not be teased to aid release. 11. LEGAL RELEASE: The angler must fight the fish for 10 seconds before a legal release can be counted. A legal release occurs when the leader enters the rod tip.